Born in Colorado, I also lived in the mountains of Wyo. and S. Dak., but married a cowboy who loves the desert. What is left of the Chaffin homeplace farm/ranch is west of Grand Junction CO. In the early years we had an eight-party telephone line, no television, and farmed such remote places that we packed in our water, cooked on a campfire, and slept on the tentless ground. My four children labored in the fields with me. I also taught music and art lessons, and conducted such works as Handel’s Messiah. In 1987 I illustrated my first book, Elmer Bair’s Story. 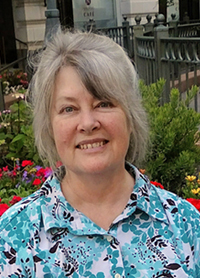 After my children were grown I returned to college and received my Bachelor of Science degree from Colorado Christian University in 2001, and my Master of Science degree from Spertus Institute of Jewish Studies (Chicago) in 2013. Maureen can be contacted at: maureenchaffin2@gmail.com. Foretold since the time of Enoch is a prophet of the last days named Joseph, who would restore prophecy, priesthood, temples; and bring forth a New Torah — the Stick of Joseph. This is the incredible true story of that Joseph, born in 1805, who grew to manhood in the untamed wilderness of the American frontier. At the age of 14 his life was indelibly altered when he received a vision; wherein the Lord called Joseph to do a marvelous work and a wonder, re-establish the Kingdom of God, and prepare the way for the Coming of the Messiah. The Adversary, enraged at this threat to his reign and realm, rose up in his wrath and viciously sought to destroy Joseph. 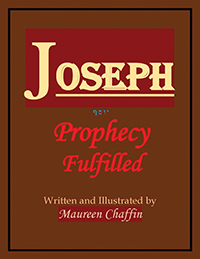 Thus, began Joseph’s extraordinary efforts to accomplish the Lord’s commands, while desperately struggling to elude the murderous hands of his nefarious foes. And in so doing, Joseph unknowingly fulfilled ancient Hebrew prophecy.